Temprecord loggers undergo testing to ensure their temperature accuracy. Each calibrated logger is then issued with a calibration certificate. 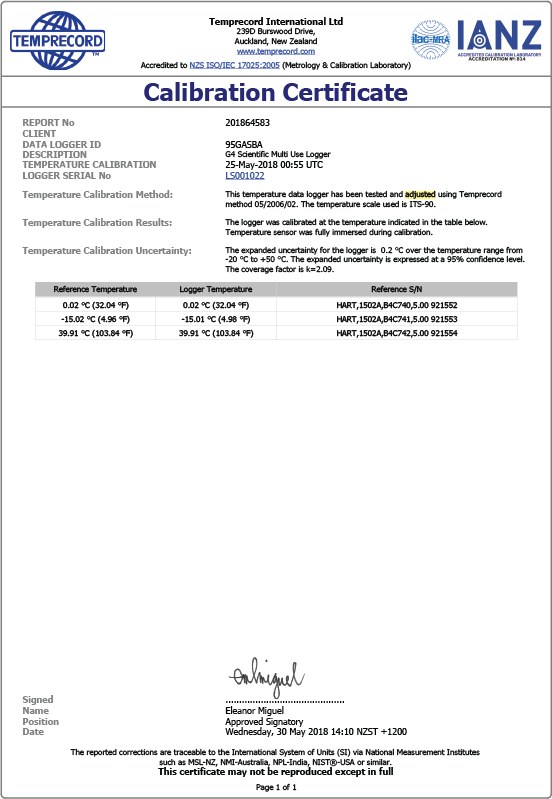 Enter your logger’s serial number + click the ‘CALIBRATION CERTIFICATE SEARCH’ button.